Hi, I’m Lynne and I have been lucky enough to visit the Dinarobin Beachcomber Golf Resort & Spa on the beautiful island of Mauritius. 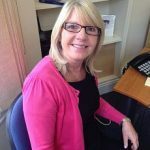 I can answer any questions you may have about the resort and I would be delighted to source you a great deal, whether you’re looking for accommodation only or for a full package including flights and transfers. Just get in touch at your convenience – give me a call or fill in the enquiry box. I’d love to help you plan your holiday to this stunning Beachcomber hotel – it’s a place you’ll never forget and one you’ll definitely want to return to time and time again. This beautiful and elegant five-star resort in Mauritius is a haven of peace and tranquillity; a perfect setting for a restful and relaxing holiday. Located on the most scenic shoreline in Mauritius, the resort offers luxurious accommodation that blends naturally into the lush tropical gardens. 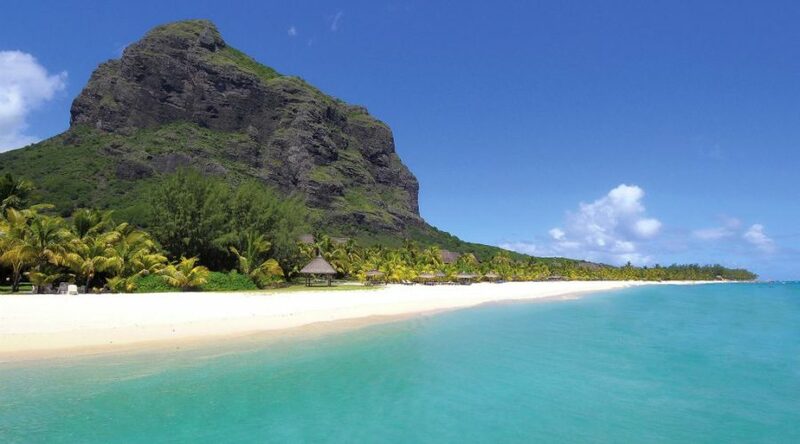 The Le Morne Mountain acts as a dramatic backdrop to this luxury hotel. Surrounding this beautiful hotel you can get to many other wonderful places of interest including the Chamarel Falls, Black River Gorges National Park, Frederica Nature Reserve, Barachois Shopping Centre, Alexandra Falls Hiking Trail to name but a few. There's a good choice of golf courses nearby if you like to enjoy a round or two. 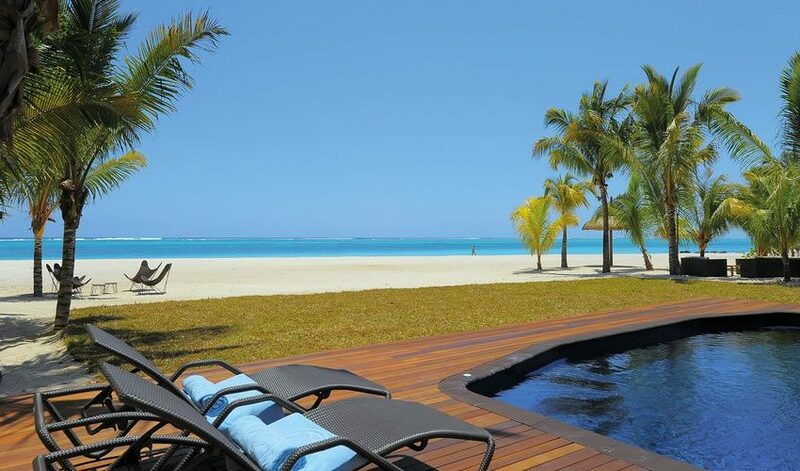 With luscious pools, luxurious all-suite accommodation, a stunning beach and blissful spa, it's easy to see why Dinarobin Beachcomber Golf Resort & Spa is popular choice with couples and families alike. Dinarobin boasts a fantastic range of facilities including heated pools, a beautiful spa, Golf at the Paradis Golf Course and much more. The resort offers well-appointed suites, including an adult only crescent of suites, and luxurious villas with private pools. The top class dishes are sure to tantalise your tastebuds, with wonderful dining choices including themed buffets and exquisite French cuisine. If you fancy a change from relaxing, there’s plenty to see and do on this most beautiful island – hiking, golfing, shopping and more! The tropical climate, the welcome you receive and the lush landscape make Mauritius an island you'll love and want to return to again and again.